Crathlint Dearbhail Drew with her parrents, Fritzens Celeste and Hillmorton Ghillie. Photo: Björn Fritz. 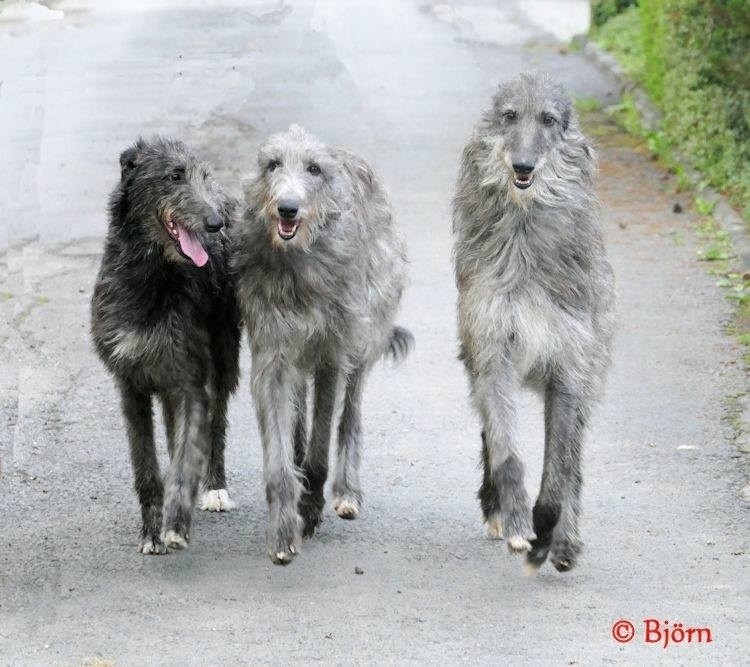 Ghillie (right) lives with our friends, his owners Björn Fritz and Klaus Krüger, Fritzens Kennels. Breeder is Peter Bain, UK. "A most perfect creature of heaven ... of the noblest northern breed ... deep in the chest, strong in the stern, black colour, and brindled on chest and legs, not spotted with white, but just shaded into grey - strength to pull down a bull - swiftness to catch an antelope." “In Africa I never had dogs of any other breed than the Scotch Deerhound. There is no more noble or gracious kind of dog. They must have lived for many centuries with men to understand and fall in with our life and its conditions the way they do." 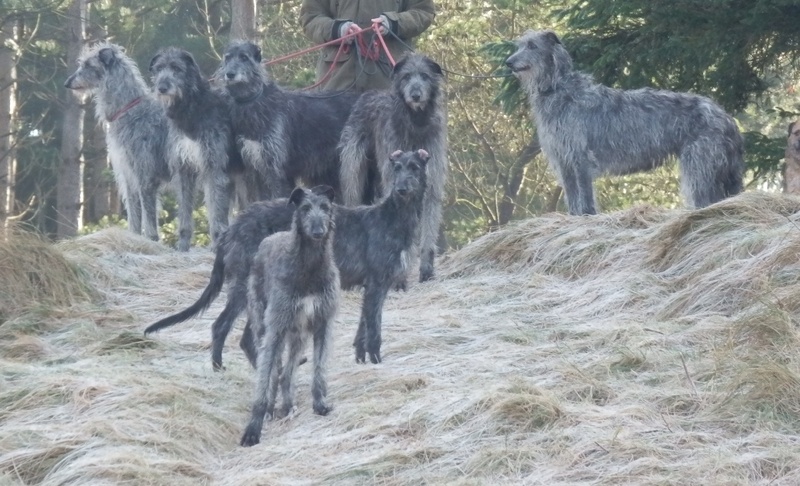 The Whole pack at walk an early morning.